IN THIS REPEAT: Dr. Don King, a specialist in the poetry of C.S. Lewis, shares about a book that collects various material he wrote over the years on Lewis. 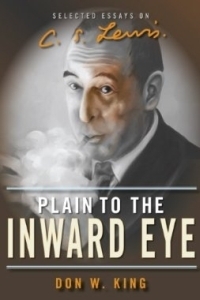 In 2013 Dr. Don King released a book called Plain to the Inward Eye. The book is a collection of essays and William O'Flaherty discusses a variety of the content that includes many book reviews. Additionally, Dr. King shares his thoughts (not included in the book) about the Dr. McGrath's biography on Lewis, forthcoming material about Joy Davidman and his six most enjoyed essays by Lewis.. IN THIS REPEAT:: More from Dr. Don King. This time it's on The Collected Poems of C.S. Lewis. Some Lewis readers are unaware that he wrote poetry (or at best are uninterested in it). Dr. Don King, editor of The Collected Poems of C.S. 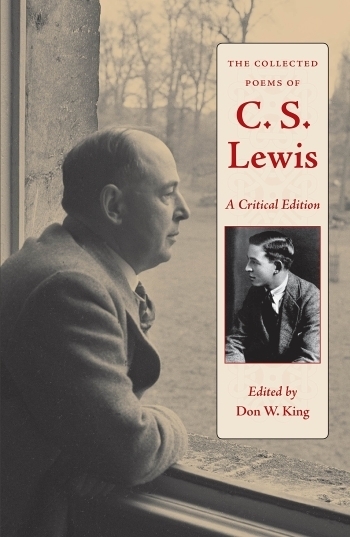 Lewis: A Critical Edition, believes such individuals are missing out on not only gaining a better understanding of the author, but they are also depriving themselves of some great writings. William O'Flaherty spoke with him about the scope of this new book (scheduled to released January 7, 2015) that brings together nearly all of the poetry of C.S. Lewis. 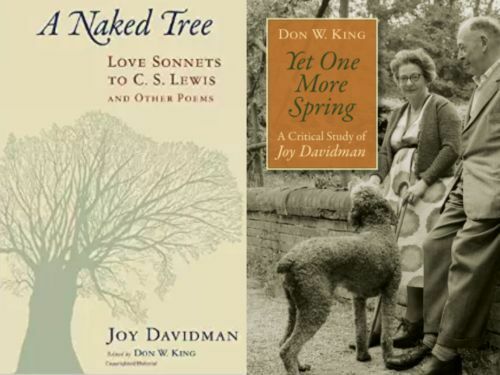 IN THIS REPEAT: Don King discusses two books - one he wrote about Joy Davidman and the other a volume of poems from her that he edited. 2015 is the 100th anniversary of the birth of Joy Davidman, C.S. Lewis's wife. It just so happens that Dr. Don King has two new books this year (one not yet released at the time of this posting) related to her. A Naked Tree (the one currently available) is actually edited by Don and is a collection of nearly all her poems. The majority of them had never been published before. The other book (releasing in September) is Yet One More Spring and is the first comprehensive study of the poetry, nonfiction and fiction that Joy Davidman wrote. Learn more about them from the conversation that William O'Flaherty had with Don and hear a couple of Joy's poems. 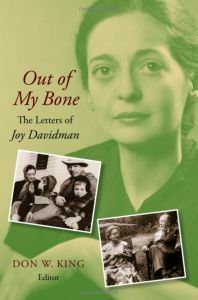 IN THIS REPEAT: Learn more about Joy Davidman, the wife of C.S. Lewis through her own letters! Back in 2012 I did my first interview with Dr. Don King. It was on the 2009 book entitled Out of My Bone: The Letters of Joy Davidman. This is the first time I've reposted the interview since I've had my podcast at the Podbean location. In this chat I also had Don answer some questions about his favorite Lewis book and recommendations about books by and about Lewis. Of course, he provides interesting background information about the letters of Joy Davidman and five key reasons why they are important to read. IN THIS REPEAT: Dr. Don King talks about his biography on Ruth Pitter, a friend of Lewis. The women surrounding C.S. Lewis is often a mystery to even the serious reader of his works. Apart from Lewis' mother and wife, Ruth Pitter stands as one of the most significant women in his life. You might know she was a poet, but did you know how much she helped Lewis with his poetry? Also, was there more than a friendship interest between her and Lewis? 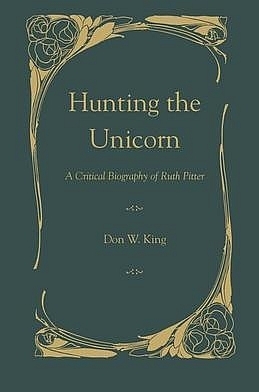 Dr. Don King explores her life in Hunting the Unicorn: A Critical Biography of Ruth Pitter. There has been a recent interest in exploring the females in Lewis' life so it seemed a good time to learn more about her. Dr. Crystal Hurd fills in as guest host to interview Don. 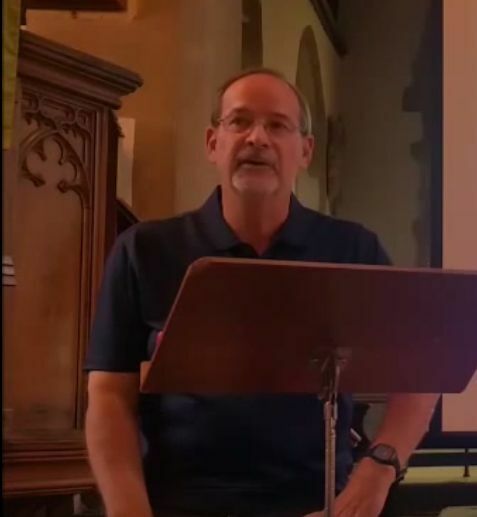 Couldn't make it to Oxford for the Inklings Week in Oxford? Now you can watch another plenary talk. This one is given by Don King; the title was "Warnie Lewis and WWI." The video (and audio) was done on my Samsung Note 4 phone! In this repeat: The last new episode - Don King talks about his biography on Ruth Pitter, a friend of Lewis. More from Dr. Don King in this repeat show. This time it's on The Collected Poems of C.S. Lewis. In this repeat Dr. Don King, a specialist in the poetry of C.S. Lewis, shares about a book that collects various material he wrote over the years on Lewis.